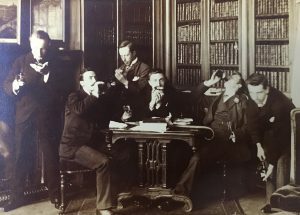 New College Library and its students have always had a special relationship. Recently, for example, our students chose their preferred most iconic items from our special collections and contributed to our beautiful exhibition ‘Steps through Time’ (you can check the corresponding post here). 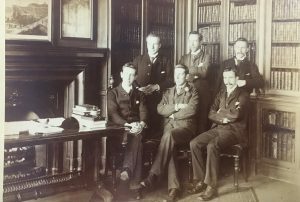 However, not everyone knows that from the early stages of New College Library’s existence, students have played a fundamental role in the organisation and establishment of the library. 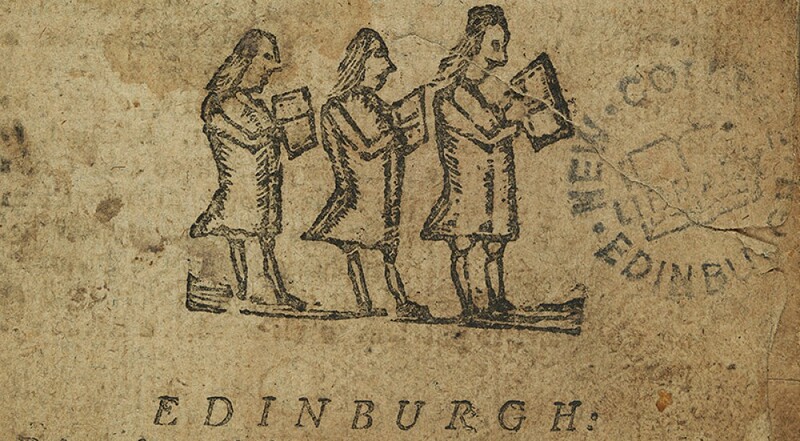 For example, in 1843, when New College was founded, it was ‘student curators’ who stamped and listed the first donations that arrived at the library from various sources (see Disruption to Diversity, D.Wright and G.D.Badcock, p.187). In spite of their initial involvement though, in its early days browsing New College Library was not a particularly student friendly experience. In fact, until 1893, the library was entirely the domain of the Librarian – he was the only one who had an overview of the entirety of the catalogue and the only one who was able to peruse the shelves and collect the books requested by the students. Not only were students not allowed to browse the shelves freely, they were also kept in relative ignorance of the contents of the library, especially if some of the books did not meet with the Librarian’s criteria of safe readings. For example, Dr Kennedy, who was the Librarian of New College Library from 1880 until 1922, ‘even adopted the stratagem of frustrating any reader, privileged to inspect the shelves, who sought to escape his lynx-like vigilance, by secreting scores of “dangerous” volumes on shelves hidden behind tables or forms ’, as Hugh Watt writes in New College a centenary history (p.162). The catalogue was also a fairly complicated affair, since for several years it consisted of written slips kept in packages accessible only to the Librarian. Unsurprisingly, this was a most unsatisfactory system for the poor students. 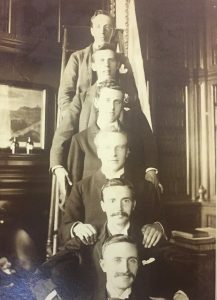 Therefore, in 1892, six students braved the phenomenal Dr Kennedy, and under his ‘lynx-like’ vigilance, they assisted him in re-arranging the catalogue to make it more user accessible. 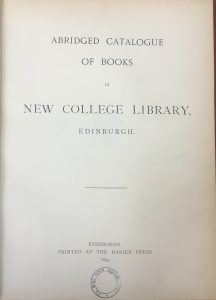 After a year of hard work, they published what you can consider as one of DiscoverEd’s ancestors: The Abridged Catalogue of Books in New College library, Edinburgh,1893. While we are not encouraging you to drink beer in the library, or to rebel against our lovely library staff (nowadays, certainly not as scary as good, old Dr Kennedy), we want to celebrate those students with you today. It was also thanks to their hard work that New College Library became the much loved library that it is today. Not much is known about those student heroes, their names are faded, a scribble at the back of an old photograph. But perhaps next time you wander through the library, send them a grateful thought. They will surely appreciate it.